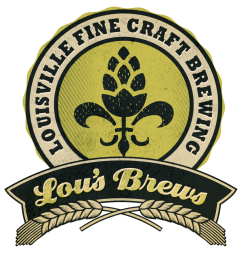 DID YOU KNOW THAT DURING THE LATE 1800S AND EARLY 1900S, LOUISVILLE WAS A MAJOR SOUTHEASTERN BREWING HUB, COMPETING WITH THE LIKES OF MIDWESTERN GIANTS MILWAUKEE AND ST. LOUIS? It’s true. In fact, back then, it was difficult to walk six blocks through the city without coming across a brewery. It was all due to an influx of German immigrants who saw to it that brewing was a focal point of Louisville’s social and economic culture. They brought with them German brewing traditions - leading to the introduction of lager brewing here. A century later, Louisville’s brewing scene is again rising, with new breweries opening each year and existing breweries raising the bar ever higher. In fact, Louisville was recently named one of the Top 10 Beer Destinations in the World. Louisville’s beer buzz is not only found in the breweries, but also in some of the coolest retail and bar settings as well. From an old war brew in a gothic former church to a beer lover’s mecca where you grab a cold one from a vintage fridge that gets poured into THE perfect glass for your pick. Who knew there were so many proper beer decanters!? These bars pour beers from local, national and international breweries and stock some of the rarest brews in the world. Looking for a way to experience the craft beer scene, learn a little history and let someone else do the driving? Check out the curated beer tours at Derby City Brews or Lou’s Brew Bus. Or pedal your way through downtown Louisville on the 15-person bicycle tour with The Thirsty Pedaler. 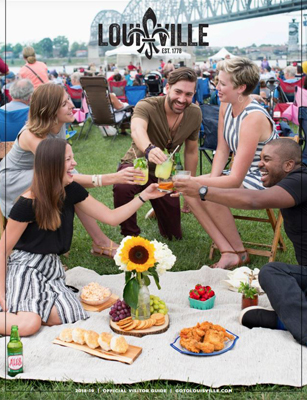 Though you can experience the Bourbon City's beer culture every day, there are also a variety of beer festivals and events you may also want to plan a visit around. Check some of them out. Gravely is a craft brewery and live music venue on Baxter Avenue that serves Mayan Street Food.